Make Up For Ever is known for their fabulous line of intense, vibrant, colors that last forever. So it's only fitting that they have an uber fab lip gloss line as well. Lab Line available in 35 different shades retails at 18$ each. 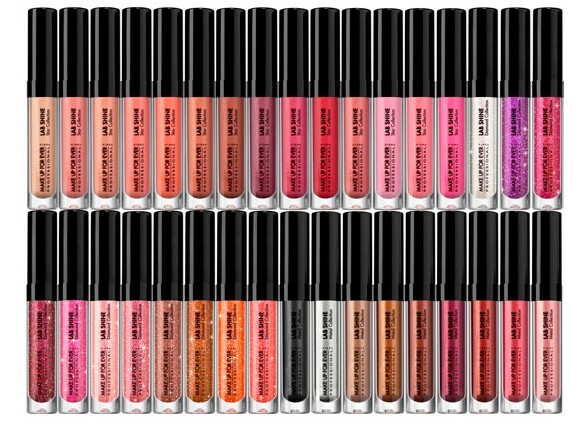 Each gloss contains the brands own pearl pigments that reflect the light which creates more lip shine. 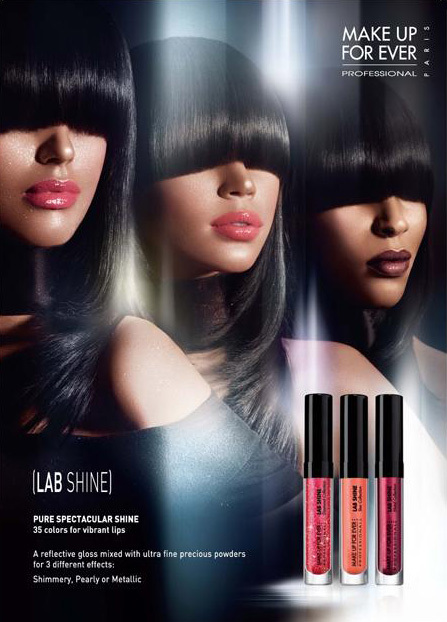 Make Up For Ever's Lab Shine is available in 3 finishes - the Diamond, Star, and Metal Collection. Pics and details below. 12 new colors that’s inspired by Make Up For Ever’s Diamond Powder for instant shimmer and glittery shine. 14 new shades that’s mixed with Make Up For Ever’s Star Powder for a pearl finish. Super duper crazed already? Will you try any of the glosses from Make Up Forever's Lab Shine collection?